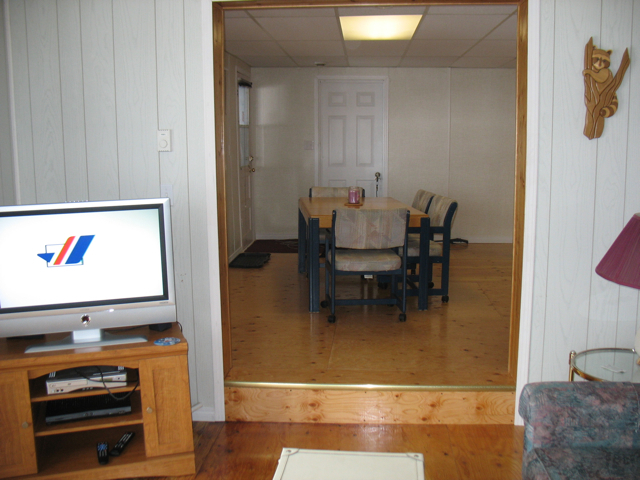 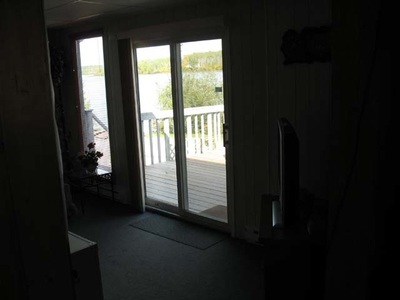 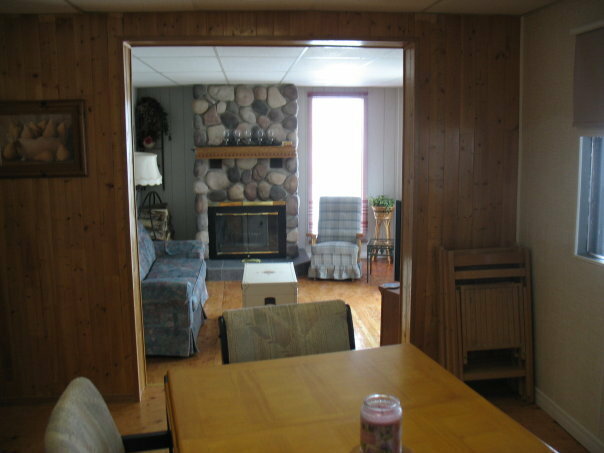 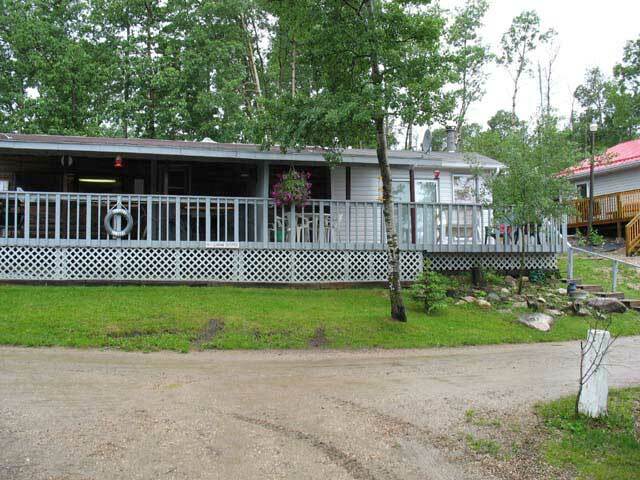 This Cabin is our lakefront cabin with a large deck, one bedroom and an open concept-living area. It also has a full bathroom with a tub/shower. 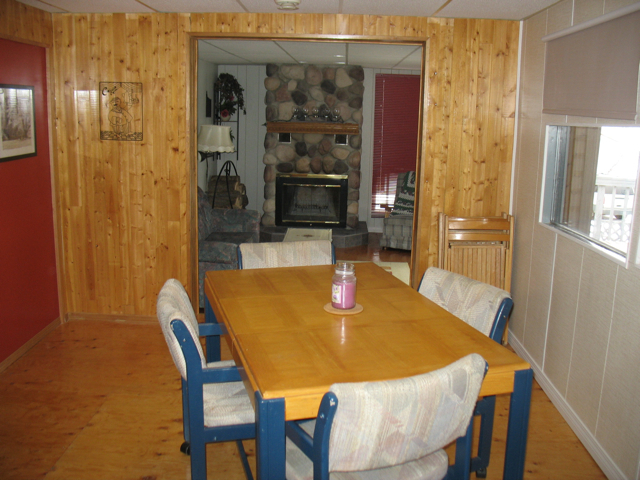 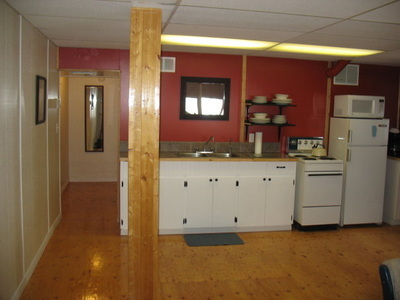 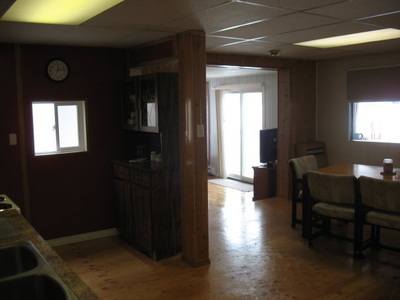 Each of our cabins is furnished and has its own BBQ, a fire pit and outdoor table and chairs. 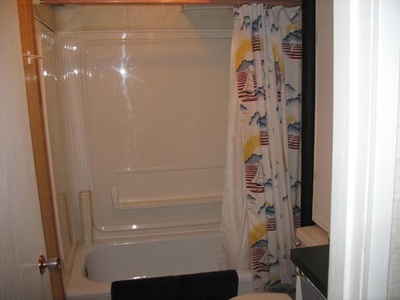 There is a coin-operated shower house that has hot water and is clean and modern. Weekend (Friday and Saturday) & long weekend (Friday- Sunday): $180 per night plus taxes based on double occupancy. 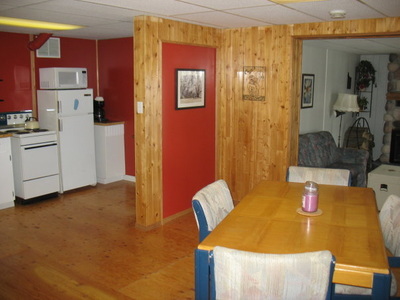 Weekday discounts (Sunday-Thursday): $150 per night plus taxes based on double occupancy. 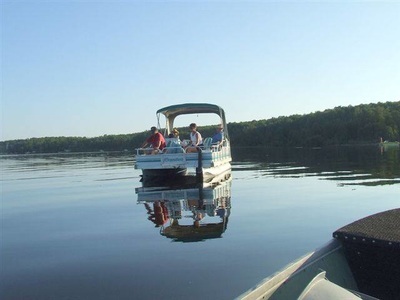 Sundays that are a part of a long weekend are billed at the weekend rate. 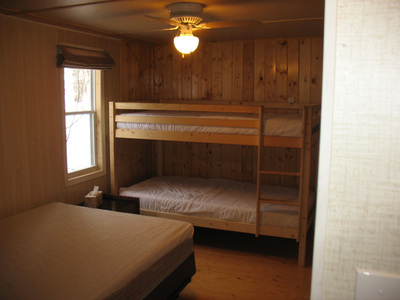 Full week or longer discounts: $150 per night plus taxes based on double occupancy. Stay for 7 days, and enjoy one full-day fishing boat rental absolutely FREE! 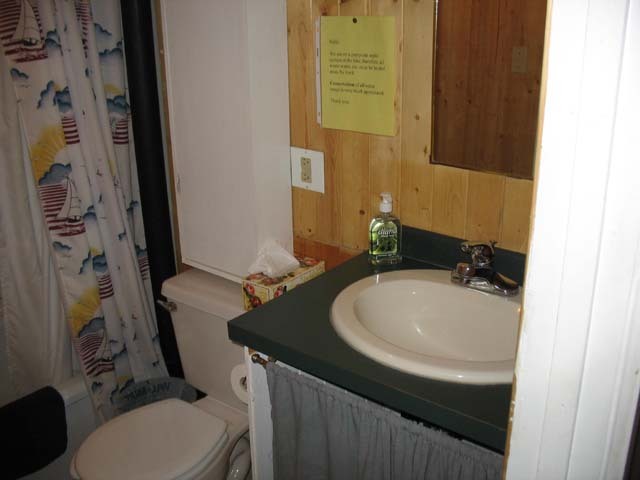 Our Concession has the following for your convenience: Ice, 5-gallon jugs of water for the water stands in the cabins, firewood and basic grocery items as well as treats.